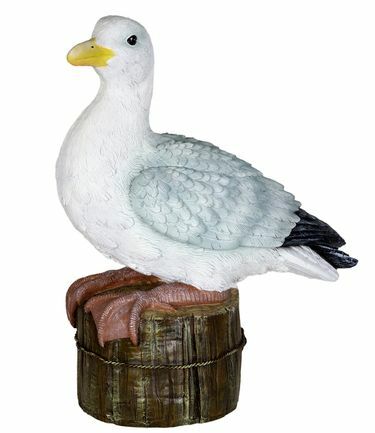 Bring the beach home with this adorable illuminating Solar Seagull Garden Statue. Beautifully hand painted details will be highlighted as the solar LED light automatically glows from within at dusk. Made of durable resin, UV treated to resist fading. Size: 14.5" x 7.25" x 15.75"H., approx. 5 lbs.